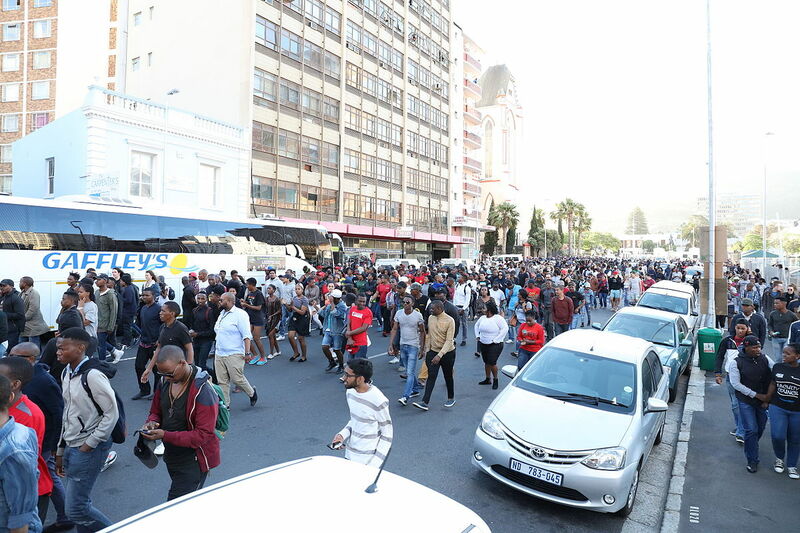 While the chaos that accompanies the student protests in South Africa over fees hikes at a number of our major universities has caught the media’s attention, the underlying causes seem woefully under-examined. In a nutshell, the problem comes down to money: most students can barely afford existing fees let alone fee increases, while universities cannot afford not to increase fees. Academic fees for tertiary education are very high in South Africa for most students, particularly those who come from underprivileged backgrounds. The average estimate cost per year—about R100,000—is way beyond the means of the poor, the working class and even sections of the middle class. Even with the National Student Financial Aid Scheme bursary in place, which many complain is haphazardly administered, excludes students whose family incomes are slightly over the fund’s means test and frequently inadequate, many potential students cannot afford tertiary education. To deny this problem is a grave injustice to the many who have struggled through material poverty and the intellectual poverty of an iniquitous school system and yet prevailed sufficiently to get into higher education. Education is a way out of poverty into the possibility of self-improvement, a decent job, a better life—and perhaps a vision of a wider world. This is true whatever professional, academic or technical field one wants to enter. No talented young person should be condemned to the poverty trap due to lack of funds. On the other hand universities are caught in a quandary. The two great tasks of the tertiary education—to train the next generation of professional, skilled people who can build the knowledge-based economy and to produce research that advances science, economy and culture—are people-intensive and require large amounts of money, with little hope of income generation for the institution. And the one task gets in the way of the other: you cannot do cutting-edge research when you are teaching and supervising large numbers of students, many of whom though undoubtedly intelligent lack basic literacy and numeracy owing to a dysfunctional school system. Too much teaching and research collapses; not enough teaching and the next generation of skilled professionals disappear. Quite simply, tertiary education needs more—not less—lecturers, but this costs money. To further complicate matters, the rapid growth in tertiary student populations has stretched the infrastructure of institutions to breaking point. Inadequate facilities, poor libraries, fewer laboratories and the quality of teaching and research also collapses. Adequate administration is also needed to keep things running, pay staff salaries, electricity and water bills, and—yes—collect fees. Outside donors can and do fund research and offer bursaries, but they never cover these expenses. The current conflict between students and universities is misplaced. They need to form a united front to call government to do its job: getting more funds to where it’s needed—student bursaries (possibly linked to year-for-year work placements in the state sectors), adequate subsidies to institutions based on research and graduate output performance etc. Or the state should simply tell the poor that they don’t matter—and face the consequences at election time. Anthony Egan, S.J., a member of the Jesuit Institute South Africa, is one of America’s Johannesburg, South Africa, correspondents.